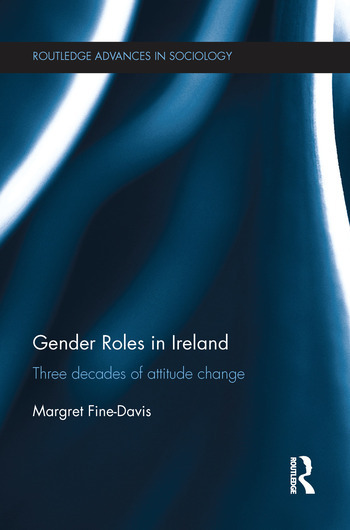 Gender Roles in Ireland: three decades of attitude change documents changing attitudes toward the role of women in Ireland from 1975 to 2005, a key period of social change in this society. The book presents replicated measures from four separate surveys carried out over three decades. These cover a wide range of gender role attitudes as well as key social issues concerning the role of women in Ireland, including equal pay, equal employment opportunity, maternal employment, contraception etc. Attitudes to abortion, divorce and moral issues are also presented and discussed in the context of people’s voting behaviour in national referenda. Taken together, the data available in these studies paint a detailed and complex picture of the evolving role of women in Ireland during a period of rapid social change and key developments in social legislation. The book brings the results up to the present by including new data on current gender role issues from Margret Fine-Davis' latest research. Margret Fine-Davis is Senior Research Fellow (Emeritus), Department of Sociology, School of Social Sciences & Philosophy, Trinity College Dublin and Director of the Social Attitude & Policy Research Group. Her research interests include social attitudes; changing gender role attitudes and behaviour and related social policy issues; attitudes to family formation and well-being. She is co-author of Fathers and Mothers: dilemmas of the work-life balance -- a comparative study in four European countries (Kluwer, 2004; Italian version, Il Mulino, 2007).